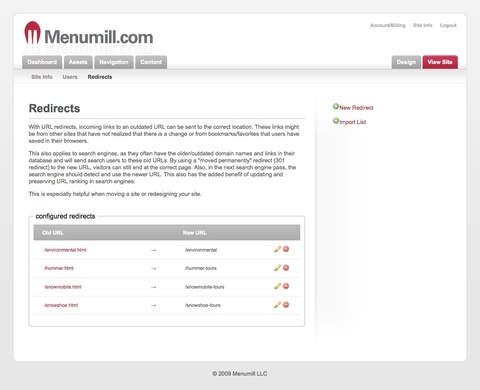 Menumill was built from the ground up to be search engine friendly. Menumill incorporates SEO best practices including pretty URL's (with full url control), automatic sitemap.xml and robots.txt generation, 301 redirects, and complete code control. You have complete control of outputted code. 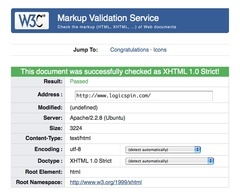 Unlike other CMS systems, Menumill does not inject unnecessary or invalid markup onto your pages. Its no secret that Google and other search engines prefer pages with valid code as laid down by the W3C (World Wide Web Consortium). This allows the creation of websites with SEO industry standards and best practices, resulting in higher page ranking in search engine results. This also applies to search engines, as they often have the older/outdated domain names and links in their database and will send search users to these old URLs. 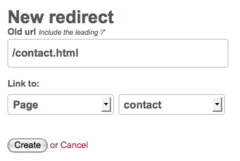 By using a "moved permanently" redirect (301 redirect) to the new URL, visitors can still end at the correct page. Also, in the next search engine pass, the search engine should detect and use the newer URL. This also has the added benefit of updating and preserving URL ranking in search engines. This is especially helpful when moving a site or redesigning your site. Every Menumill site automatically generates a sitemap.xml and a robots.txt file. This allows search engines to crawl the site more intelligently. Menumill automatically creates human readable URLs, like about-us. 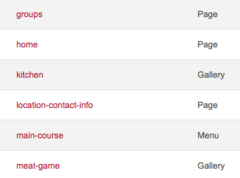 Contrast that with other pages on the web with URLs like page.asp?id=11237. This is important factor for SEO. You have full URL control!